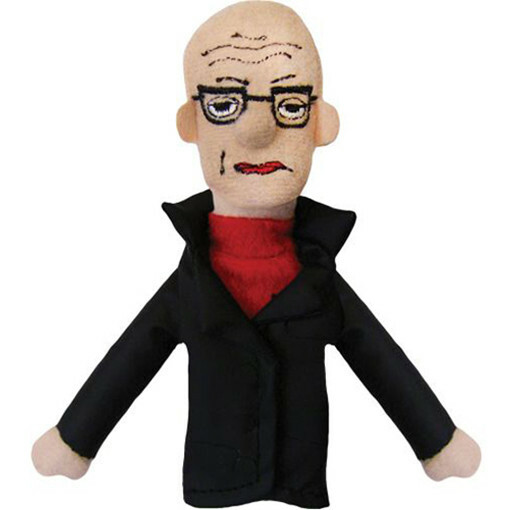 French philosopher and theorist Michel Foucault makes an interesting magnet. a truly thoughtful gift this magnet also doubles as a finger puppet. Present Indicative is the sister site of The Literary Gift Company. The Literary Gift Company was launched in 2009 and has over 1000 gifts for book lovers. Present Indicative offers a similar range of unusual and beautiful gifts but with more of an academic twist. We love beautiful, practical and intelligent gifts for thinking people, including clothing, jewellery, games, and much much more. With thanks to Emma Guion Akdag for this news.